The Mathematics Applications Consortium for Science and Industry (MACSI) is a network of mathematical modellers and scientific computational analysts based in the Department of Mathematics and Statistics, at the University of Limerick, Ireland. MACSI was founded in 2006 by the largest single grant ever awarded to mathematics in Ireland (€4.34 million from the Science Foundation Ireland Mathematics Initiative). The MACSI industrial mathematics network is the first of its kind in Ireland. 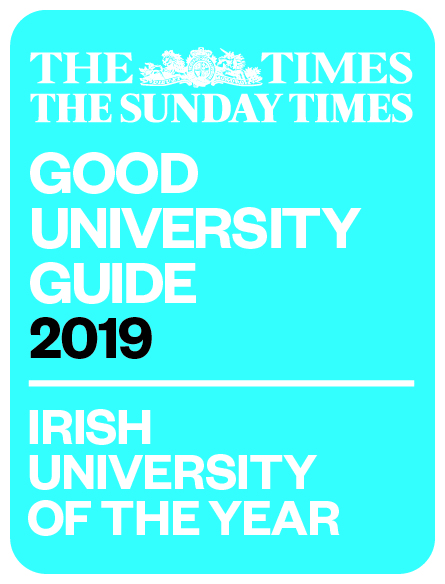 It is the initiation of a new era in Irish mathematics, where applied mathematicians underpin developments in the physical, biological and social sciences. to provide an outreach programme to school students raising awareness of the role of mathematics in modern industry. 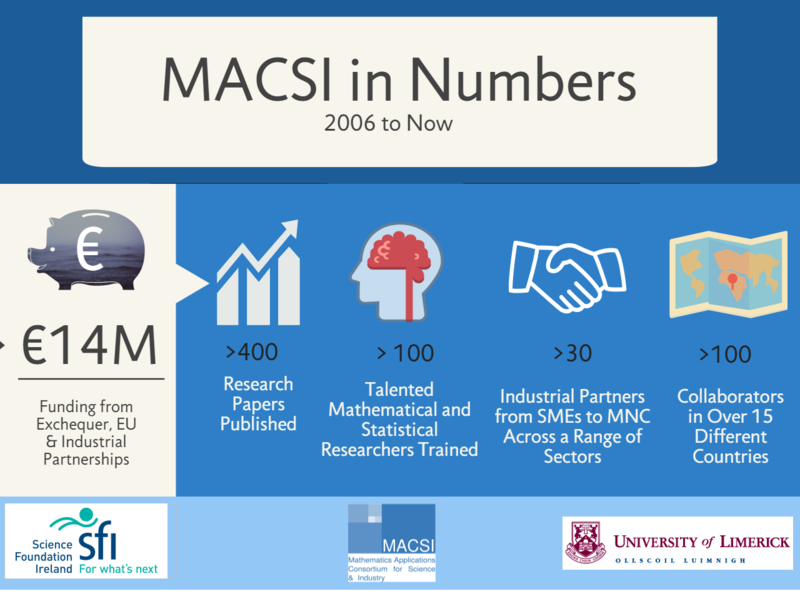 Since its foundation MACSI has raised over €14M in funding (exchequer, EU, industry), published over 400 scientific papers, and trained over 100 talented mathematical and statistical researchers. Previous industrial partners include Dell, Analog Devices, Johnson and Johnson, Rusal Aughinish Alumina, Bord Gáis Energy etc. There is more information about MACSI on our Research and Industry pages.